A friend just came back from a trip in a twin otter and was asking me about this knob next to the feather knob on the overhead panel. He says it was labelled 'friction'. Could someone please explain what this does and why? If I'm wrong please correct me. 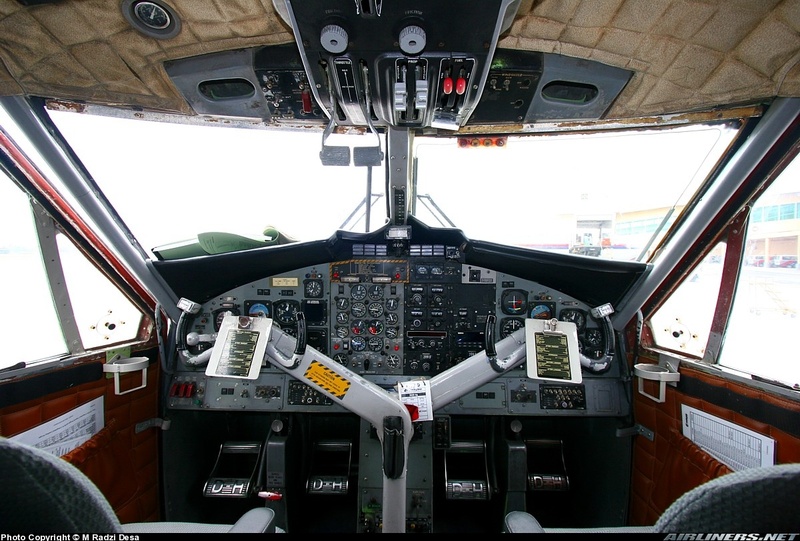 At a guess, the two grey friction knobs control the "stickiness" of the throttles and the pitch ("prop") controls. The more friction, the harder the resistance to movement. Tighten to the max when you want them to stay in place, e.g. in the cruise. Loosen when you need to move them a lot, e.g. on the approach. 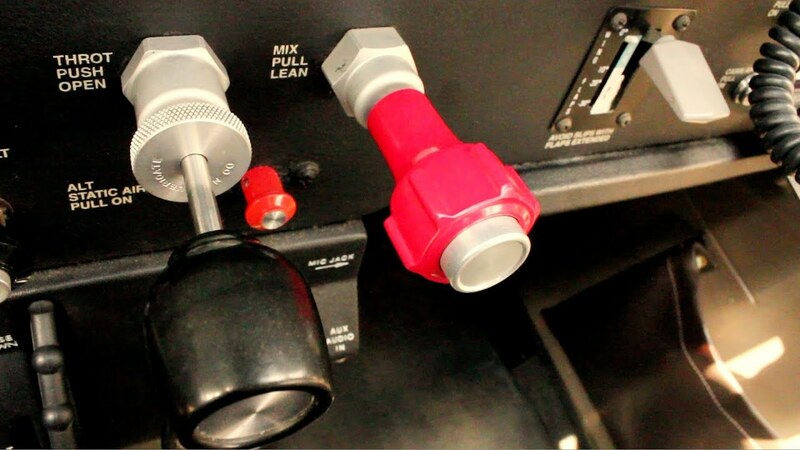 The same sort of mechanism can be found on the throttle knob of many Cessnas. In the pic, you can see the knurled rotary control at the base (root?) of the throttle on a 172. Turn clockwise for more friction. Is the pitch levers for feathering control or is there a difference between the two? As I recall....bringing the pitch levers full aft would bring the props to a full feathered position. There were several predeparture checks that required a full cycle of the props. In addition the props had a auto feather feature that sensed a power loss via torque loss and subsequently cause the prop to feather automatically. That was a carry over from the 707/720, Never saw it on the 727-200, only the -100 series. When autothrootles came to the scene, manual friction went away. The condition (prop) levers on the DH6 will also feather the propeller once moved fully aft (through the detents). The red levers in the initial post's photo are the fuel on/off levers. Did you fly the Stratocruiser ? ! Never flew the B377 Stratocruiser, but did fly the Boeing C97 in the California ANG, VNY (146th). My Airman Cert says B377 on it. One of the Squadron Commanders was an FAA examiner so most of the pilots would snag a type rating after 500 hours or so. Went through the ANG/UPT after being hired by WAL. That’s very interesting and it must have been quite an experience, I think the 377 was based on the C97 you flew ? I believe that the C97 was more closely aligned with the B50, which of course was a derivative of the B29. Friction didn't go away with autothrottles, and it's still found on a lot of aircraft, including virtually all turboprops (every one I've ever flown, single or multi), and a lot of turbojets, too. On newer transport category aircraft with autothrottles, friction is normally handled via servos, though friction in some aircraft, especially older aircraft, is pilot-adjustable. The Twin Otter uses friction locks because the throttles are overhead, and one doesn't want to keep a hand up there all the time. It's tiring. Feathering is conducted by placing the propeller lever to the full aft position, and requires moving past a detent (to preclude inadvertent feathering). Please name a few aircraft with AT and friction locks installed? I can't recall any at the moment.